New Mexico caps damages in medical malpractice cases at $600,000, except for past and future medical bills and punitive damages, without regard for the severity of the injury to the plaintiff. The maximum liability faced by a provider is $200,000, with any award in excess of that amount to be paid by the state's compensation fund. When more than one defendant is sued, under joint and several liability each defendant may be required to pay the full amount of the verdict. This policy helps ensure that a malpractice victim will be fully compensated even if one of the defendants has insufficient funds or insurance. New Mexico has abolished that approach in favor of several liability, pursuant to which any defendant who establishes that another person's fault is a proximate cause of an injury is liable only in proportion to that defendant's fault as a percentage of the fault of all other persons, including the plaintiff, whether or not the other person is a party to the action. However, joint and several liability still applies to pesons who act in concert with the intention of causing injury, to persons who are subject to vicarious liability in relation to their portion of the total liability, to parties strictly liable under products liability law in relation to their portion of the total liability, and potentially to other situations based upon sound public policy. New Mexico follows the traditional collateral source rule, pursuant to which payments received by the malpractice victim from third parties such as medical insurance companies would not be considered in the calculation of damages. The statute of limitations limits the amount of time a person alleging medical malpractice has to file a lawsuit against health care providers. In New Mexico, the statute of limitations for medical malpractice actions is three years from the date of injury. 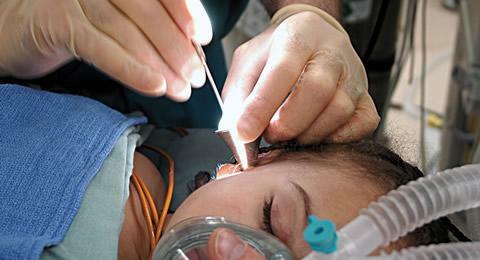 Minors under the age of six may bring a malpractice action until their ninth birthday. For cases against qualified healthcare providers that fall under the medical malpratice statute of limitations, the limitations period serves as three year statute of repose, with no exception for late-discovered injuries. However, some medical practitioners are not classified as qualified medical provicers, in which case the statute of limitations is potentially tolled until the injury is or reasonably should be discovered. In New Mexico, all malpractice cases against health care providers that are covered by the state's Medical Malpractice Act must be submitted to a panel of the New Mexico Medical Review Commission. Panels consist of three members of the medical profession and three members of the State Bar. Following review of a malpractice claim, the commission is to decide two questions: whether there is substantial evidence that the acts complained of occurred and that they constitute malpractice; and whether there is a reasonable medical probability that the patient was injured by those acts. The panel may not try to settle claims or make findings relating to the value of a claim. The panel's report is not binding on the parties, is confidential, and is not admissible as evidence in court. In New Mexico, when a patient prevails at a Medical Review Commission panel hearing both on the issue of malpractice and on the issue of causation of the patient's damage, the professional association that oversees the health care provider is required to cooperate with the patient to find a physician, qualified in the field of medicine involved, to provide consultation to the patient, to assist in the patient's preparation for trial, and to testify as a medical expert witness on behalf of the patient. It is the patient's responsibility to pay the expert's fees.